Stuck with a broken TV? 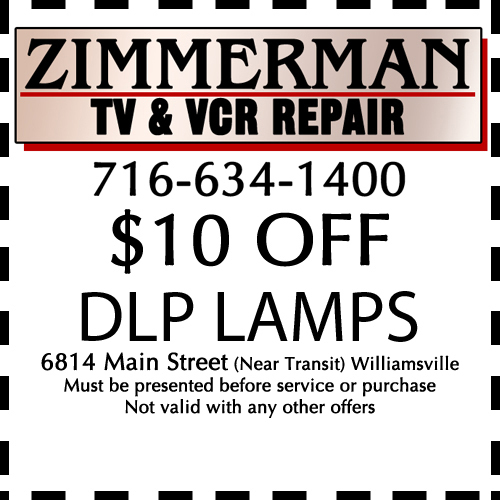 Don’t buy a new one when Zimmerman TV can repair TVs including Plasma, DLP, LCD, 4K, and HDTV! 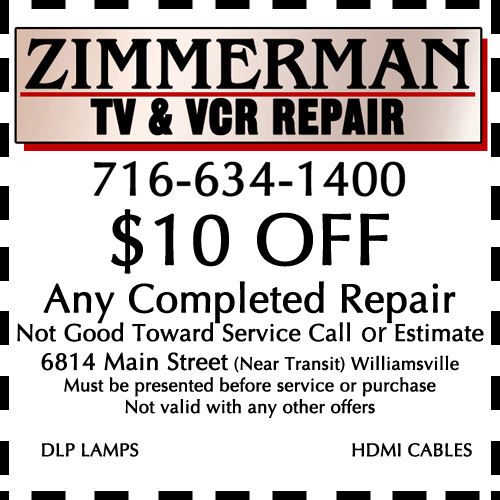 Established in 1989, Zimmerman TV Repair continues to provide its customers with affordable, professional service. We can service your TV in your home or at our shop 6 days a week. Our shop is conveniently located at 6814 Main Street in Williamsville, New York. We even repair VCRs! 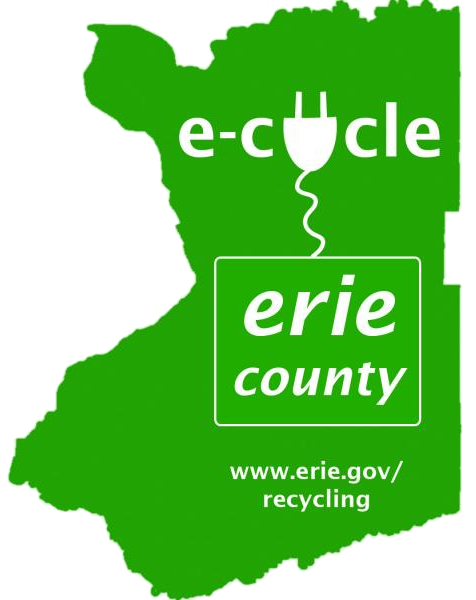 Serving all of Erie and Niagara Counties. No job too big or too small. 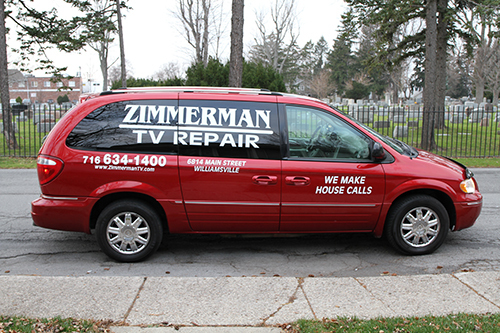 Zimmerman TV offers TV repair on all makes and models. Before you go out a buy a brand new TV, bring it to Zimmerman TV and let us bring your equipment back to proper working order. We offer in-home TV service 6 days a week. All in-home services are done by the owner. In-home service $49.95 + tax (Plus parts and labor.) 90 Day Guarantee on all repairs. After a few years, DLP lamps tend to show signs of age. You may notice your picture is dimmer or there is no picture at all. When this happens, only the lamp needs to be replaced, not the whole television. We carry a full line of lamps for your DLP TV. These are NOT GENERIC REPLACEMENTS. We carry only original lamps that come with a 6-month warranty. If you have any service needs please allow us the opportunity to help. 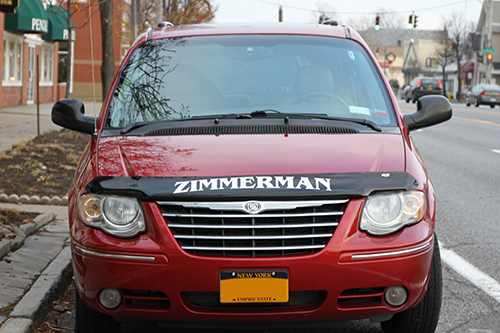 Call Zimmerman TV at 716-634-1400.